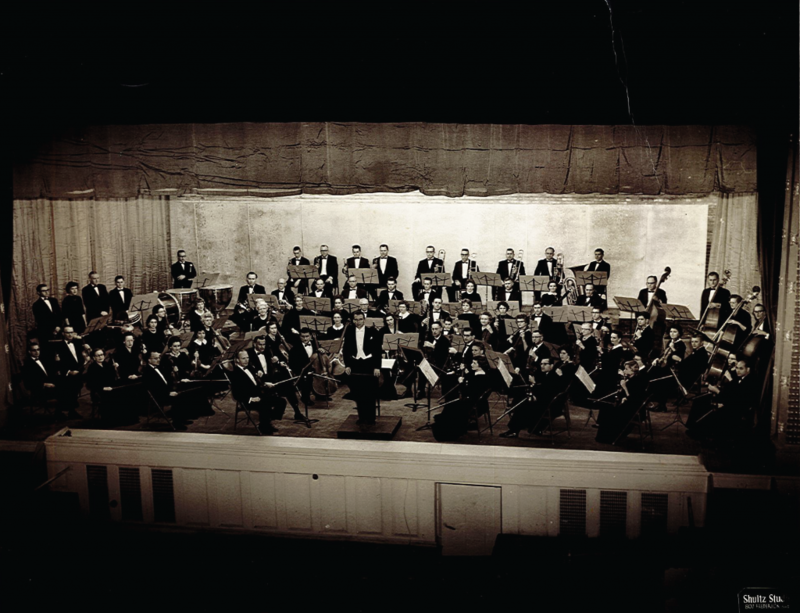 The Saint Joseph Symphony Society began in 1908 when conductor Karl Winkler and a group of enthusiastic musicians came together to present their first concert in the Tootle Theatre. The Society continued in 1912-1914 under conductor Frederick Rowley in various theaters in St. Joseph such as The Tootle, The Lyceum and The Pantages. Conductor Hugh McNutt continued the Society for two seasons. The Saint Joseph Symphony celebrated its birth as a community orchestra on November 30, 1959 with its debut performance at St. Joseph’s fabulous Electric Theater. The orchestra, which now performs in the historic Missouri Theater, evolved into a professional orchestra in the mid 1980s and hosts musicians from St. Joseph, Maryville, Atchison, Kansas City, Lawrence and Leavenworth. For many years the symphony was led by conductors affiliated with Park College and Benedictine College; however, in 1982 a partnership was developed between the Saint Joseph Symphony and Missouri Western State College, now Missouri Western State University. Our conductor, Rico McNeela, continues this relationship with MWSU, serving as the Saint Joseph Symphony’s ninth Music Director and Conductor as well as Professor with the university.